The charge sheet, filed before special judge Kiran Bansal, relates to the attached properties in Australia valued at Rs 472 crore belonging to the firm. The Enforcement Directorate started the probe after lodging an FIR in 2015. The Enforcement Directorate on Wednesday filed a charge sheet against PACL Ltd and its director Nirmal Singh Bhangoo and others in a money laundering probe in the PACL ponzi scam case. The ED's documents, filed by its special public prosecutor N K Matta, said that "illegal and fraudulent activities on the part of promoters of PGF and PACL have been revealed". "They collected more than Rs 48,000 crore of funds from investors all over the country through a collective investment scheme in the garb of sale and development of agriculture land," the agency said. The court has posted the matter for consideration on September 26. 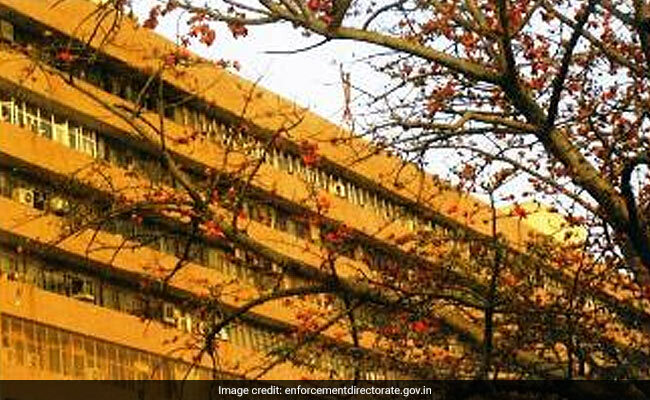 The ED had earlier attached assets, including shares and an immovable property, worth Rs 472 crore in Australia in connection with the probe. The central probe agency had registered a criminal case against the firm in 2015 after taking cognisance of a CBI FIR against the group, its directors and officials on allegations that "PGF and PACL collected funds from investors all over the country through a collective investment scheme in the garb of sale and development of agriculture land". It said the properties provisionally attached by it under the Prevention of Money Laundering Act (PMLA) are in Australia and valued at about Rs 472 crore. The agency said out of the funds (collected through the ponzi scheme), Ms PACL Limited "directly and through its 43 front companies (during the period 2009-2014) invested an amount of Rs 650 crore in its group company Ms PIPL which further invested these proceeds". "Properties worth Rs 472 crore have been attached under the PMLA in the PACL ponzi scam operated by Nirmal Singh Bhangoo. The properties include MiiResorts Group 1 Pty Ltd and Sanctuary Cove properties in Australia," the agency said in a statement. In December 2015, market regulator Sebi had ordered attachment of all assets of PACL and its nine promoters and directors for their failure to refund the money due to investors. PACL had raised Rs 49,100 crore from nearly five crore investors that it needs to refund along with promised returns, interest payout and other charges, as per a recent Sebi order. An attachment order under the Prevention of Money Laundering Act (PMLA) is aimed at depriving the accused from taking benefits of their alleged ill-gotten wealth and an appeal against it can be filed by the affected party before the Adjudicating Authority of the Act within 180 days of the order.